Updated 10:03AM, Thursday October 25th, 2012	by Sam Hailes, Christian.co.uk Be the first to comment! 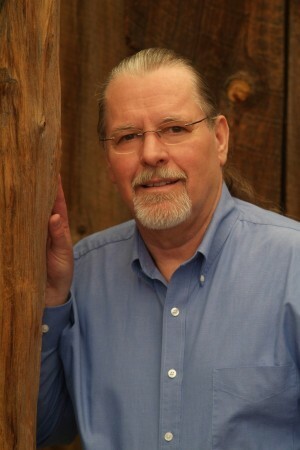 Celebration of Discipline was written by evangelical Quaker Richard Foster. Looking at subjects including fasting, solitude, service, worship and guidance, Richard guides the reader through some of Christianity’s most ancient practices. The author begins our interview by reminding me of the opening line of the book: "Superficiality is the curse of this age". Richard argues that people have become "disillusioned" by the superficifiality of both mainstream and religious culture. 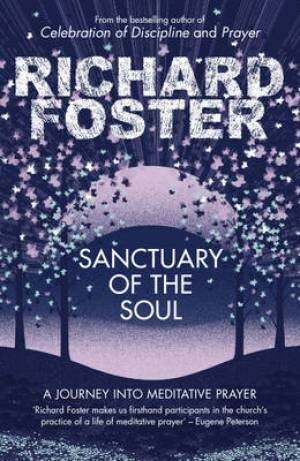 Now, following on from Celebration of Discipline, Richard has decided to hone in on just one spiritual practice in his new book Sanctuary of the Soul. “This is the great unifying theme of scripture: God saying to people ‘I’m with you’. In the family, the exodus period, in tribulation, in worship, in the Psalms. Then of course the haunting question: ‘Are you willing to be with me? That’s why meditative prayer is so important; it’s part of our sense of being present to God. It has been very gratifying the large numbers of people who are longing for something more than all the silliness and the pizzazz that goes on today even in religious circles. “Many people come to worship services and they are never really present, they are never really there. We need to learn to be present where we are. It’s very difficult for a worship leader. It’s one thing for people to come together, it’s another thing to be gathered together in the power of the spirit. One of the things that has to happen is a letting go of distraction. For Richard, the key to meditative prayer is to develop an attentiveness to God. “I live in a wooded area which has a canyon very close by. Often I hike in this canyon for an hour, maybe two hours simply listening to God, being attentive. God speaks to us in many ways. Through the scripture, often through what the old writers called the book of nature, and just being attentive and stilling all the noise in my heart and my mind. Richard describes his book as a “small window” into the world of meditative prayer. He believes all spiritual disciplines only achieve one goal: Placing the individual before God. “They do nothing else. They don’t give us any righteousness or brownie points. They simply place who we are, this little individualized power pack we call the human body. Then the grace of God comes upon that and produces things. God takes that living sacrifice and produces things way beyond anything we could ever imagine. All the fruit of the spirit come flowing in in time." A common criticism of more contemplative forms of Christianity is that it’s too inward looking. But Richard is not against mission. “Think of St Patrick of Ireland or the great Celtic saints in the north east of England and how they were sent out. There was a deep sense of contemplative life that was in them all. Out of listening to God they would be sent on mission. Richard’s approach to contemplative prayer has produced some astounding results. One night at a conference the writer was due to speak at, the Holy Spirit interrupted proceedings. “There was a gathering deep into the spirit of worship and it began with some people beginning to sing spontaneously. We would join in as best we could. These were not jolly, happy songs you hear so much today. They were deep songs of worship and adoration. That went on maybe for an hour or more. “Then there was the silence which came over us and a kind of breaking down of the walls between us. People began to weep and some people would get up and make reconciliation to one another while the rest of us would sit quietly. “Then a third distinct experience began to come over the group. Songs of praise and thanksgiving began to erupt spontaneously. Deep joy seemed to burst forth among us. Surprisingly, Richard says he doesn’t have many stories of how what he has written about has been put into practice. Why not? Richard says that revelation and prophecy can also be unlocked through meditative prayer. One time he was dreading speaking at an event but had told no one. At a planning meeting, the person leading the prayer suggested the small group ask God for guidance. Check out spiritual classic Celebration of Discipline, Richard's new book Sanctuary of the Soul and his other work here.